Ikibu is an online casino where you should be playing any of your favorite games, provided that you are not doing so already. The place is filled with excellent gaming choices that everyone can enjoy, that including many of the popular NetEnt slot machines. This uniquely designed website contains some truly original concepts, plus it features all the promotions and bonuses that one would want to implement into the experience as well. Those craving some of the finest gambling products on the market, can already sign up with this online casino and quickly dive into the action. Players can also shop for special gifts, which are granted for successfully completing the levels that require collecting seeds and then trading them for magic awards. This approach results in a far more interesting experience, proving that fun can always be complimented with some additional means to achieve a task and be rewards for doing so. 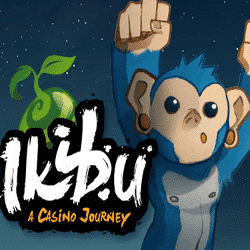 The Ikibu casino features some of the best online games and various types of benefits that are gradually credited to the players after reaching a certain point. Promotions like races and tournaments are also regularly hosted by this online casino, and free spins are just one particular prize that can be obtained during such activity. Various Net Entertainment slots, but not only, are constantly accessibly through the web based platform, which offers also jackpots, table, live casino and other categories of games. Sign up or read more information about the network, following the latest updates and news regarding either the program or any other matter strictly related to the operation. Multiple languages are supported by the webpage, including English, British, Swedish, Finnish, Norwegian and Australian. For those who already plan to deposit, there are multiple ways to transfer your funds, backed by secure services like Visa, MasterCard, Trustly, Skrill, zimpler, paysafecard, Euteller, Neteller and sofort.